I am wrapping up the Finds from my recent trip to London on this Good Friday, by presenting the final “London Edition” of my Friday Finds. While in London I popped into a couple of Ben Sherman stores – including one on the mid-century swingin’ Carnaby Street – one of London’s trendiest shopping destinations. Ben Sherman, whose shirts were a big hit with the post war counter culture crowd, developed a strong brand which is still thriving with new generations continually discovering the classic cool of his clothes. This year, Ben Sherman (the brand) is celebrating its 50th anniversary and I am a big fan of the brand and have been for years. 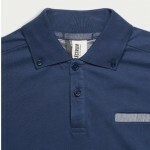 You have to love a casual polo shirt with a button-down collar. 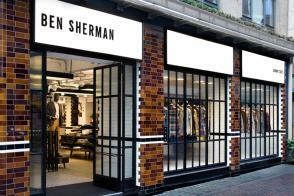 Visit Ben Sherman online here. I already mentioned visiting London’s National Gallery on my trip. However, I ended up going back to the great museum on my last full day to check out an exhibit I read about but missed on my first visit: Barocci: Brilliance and Grace – featuring the works of a somewhat lesser known Italian master Federico Barocci. 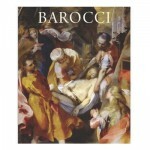 Barocci: Brilliance and Grace continues at the National Gallery through May 19, 2013. Visit the National Gallery online here. Master of Malt! Let me say that again: Master of Malt! I love it. Another great British institution that curates the best in whiskey from the British Isles and beyond. Good news – Master of Malt ships to the U.S. and they have an amazing collection of “American Whiskey” = Bourbon! Check out all the bourbons offered by Master of Malt here. 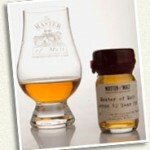 See all the coolness of Master of Malt here. One of the world’s great performance venues sits in the Kensington neighborhood of London on the south side of Hyde Park: the glorious Royal Albert Hall. 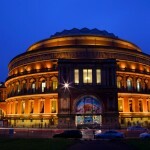 Learn more about The Royal Albert Hall and see “what’s on” here. Over the winter while entertaining a guest for a dinner, I uncovered an old, long out of use, ceramic soup tureen in the shape of a rooster. This lost serving dish was a remnant of my mother’s farm animal phase, better known as the 1990’s. Anyway, the tureen was a delightful addition to the dinner table and a fitting vehicle for my world famous vegetable soup. 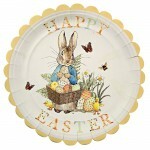 Check out the Bunny Lidded Serving Bowl from Pottery Barn here. 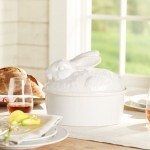 See the companion Bunny Cookie jar from Pottery Barn here. When I was growing up we had a “wall unit” in our house. You know the type of thing: a large piece of furniture that covers a wall, part desk, part, bar, part book case… very Mad Men era. Anyway, in one section of the wall unit, my mother kept tons of stationary and greeting cards for any occasion. If you forgot someone’s birthday and needed a last minute card, you could alrways find something quickly in my mom’s stash. This led to any generic card being referred to as a “wall unit special” – something that continues today in our family even with the wall unit long gone. 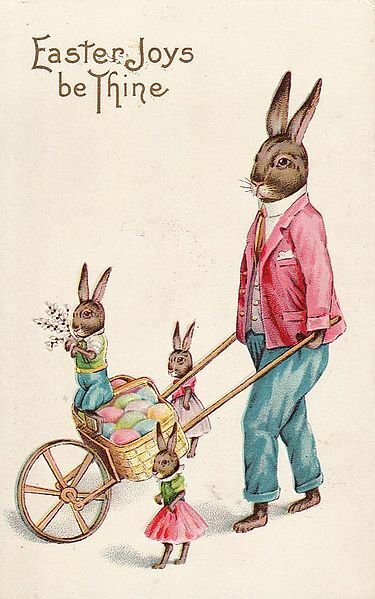 Easter is one of those holidays that lives in my memories as a child. Finding these cards, and sharing them with the family has made this Easter season a little more special. It’s been a while since I posted a shot of Lake and Mount Chocorua as seen from Tamworth, NH. It was great to get back to this glorious site after traveling abroad and a hectic few weeks. 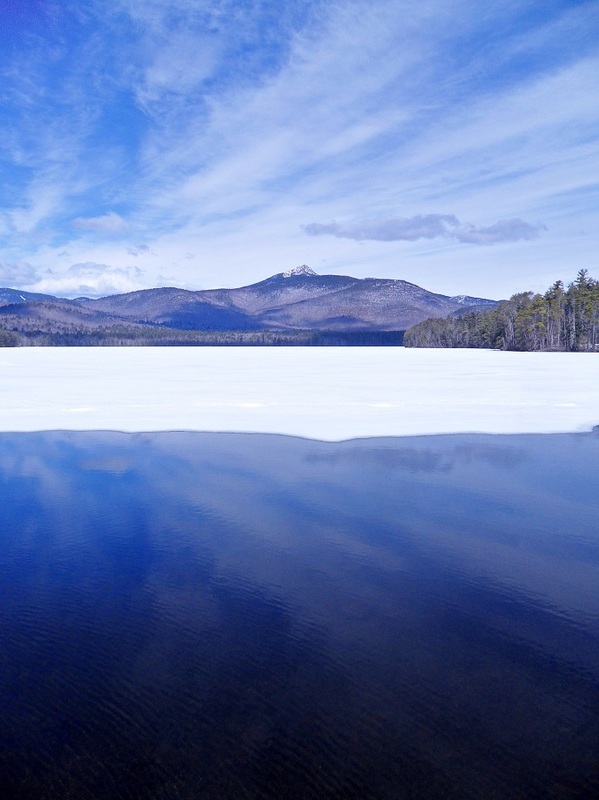 Even though it is technically spring and almost April, it is still winter on Chocorua, with the lake still mostly frozen and snow still visible on the peak of the mountain. Today for my Weekly Read I am featuring a few books I came across while touring around London on my recent trip. Two books intended for children: Pop-Up London and London ABC; and a great collection of photos and vignettes about the city – London. 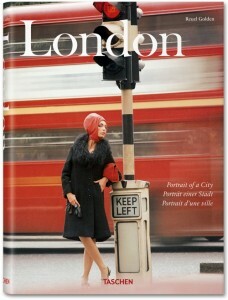 Portrait of a City – from the wonderful Taschen publishers. You don’t have to be a child to love a good pop-up book, and the pop-up here are really well done and are true works of art. 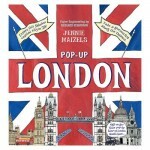 Pop-Up London by Jennie Maizels is available from Amazon and other fine booksellers. I love Mr. Hawkes’ artwork. I love it so much I am seriously considering purchasing a couple of these books in order to deconstruct them and use some of the images as wall art. 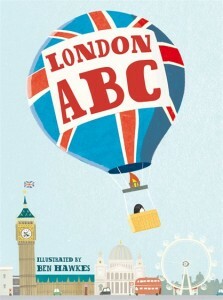 London ABC by Ben Hawkes is available from Amazon and other fine booksellers. This book is just full of so many great things for anyone who loves London or is interested in learning more about the great city. London. Portrait of a City is published by Taschen, and like most Taschen books, the book itself is a stunning work of art on its own. London. Portrait of a City by Reuel Golden is available from Amazon and other fine booksellers. Your choices for Easter chocolates are endless. However, if you really want to make a special impression, you can’t go wrong with anything from Hotel Chocolat – especially their Classic Ostrich Easter Eggs. 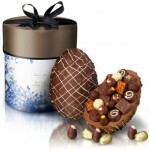 I have sent Hotel Chocolat gifts to many people over the years and they are always well-received and much appreciated. If you are a chocolate lover, you will no doubt want to order some for yourself as well. 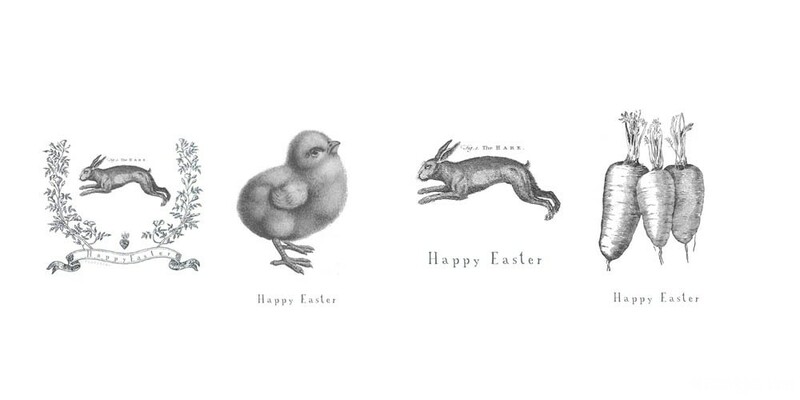 See the entire Easter collection of Hotel Chocolat. See all the great products of Hotel Chocolat here. I am pleased to announce that I have been accepted by the jury to show my work in the annual Arts Fest Beverly street festival on Saturday, June 15, 2013. I am very excited as this is the first juried festival to accept me and my art. Juried means my work was submitted, reviewed by a “jury”, and accepted to be included in the Arts Fest. Arts Fest Beverly takes place right in the center of Beverly, MA on beautiful Cape Ann. As hard as it may seem for us New Englanders right now, but the weather in June should be nice and a day strolling around this lovely arts festival and maybe a drive around the shore sounds really nice. So plan on joining me. I have applications in at a number of other art fairs and festivals for the upcoming season and hope to be accepted to a few – so check back here for updates. Learn more about Arts Fest Beverly – Saturday, June 15, 2013 – here. See my artist statement here. I love Meri Meri, the great boutique cards and paper goods producer. In fact, I posted about them in my earliest days curating Lost Cowboy. 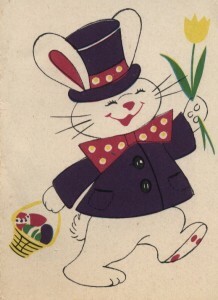 With Easter less than a week away, I thought it would be a great time to highlight Meri Meri again, as they have a wonderful Easter collection. 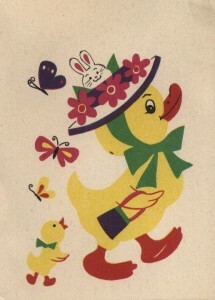 Visit Meri Meri’s Easter shop here. Check out all the cool creative products of Meri Meri here. Lost Cowboy is powered by	WordPress 5.0.4 and delivered to you in 0.942 seconds using 58 queries.